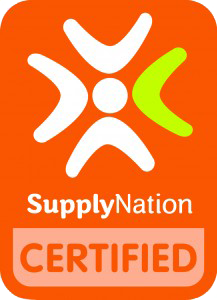 Tagai Management Consultants Managing Director, Murray Saylor will be speaking at the Supply Nation 2019 Connect event. Announcement of the 2019 Indigenous Business Advisory Group. Congratulations to Tagai Management Consultants Managing Director, Murray Saylor and other members other Group. Tagai Management Consultants is seeking Expressions of Interest from highly capable consultants with a passion for and/or proven experience in creating creating commercial value but more importantly sustainable social value for our clients. Tagai Management Consultants giving back to community by sponsoring Rotary Club of Toowong: 2018 Underprivileged Kids movie day. The Torres Strait Regional Authority (TSRA) Fisheries team engaged Tagai Management Consultants (TMC) to work together to develop and facilitate the 2018 TSRA Fisheries Summit (Summit). TMC worked closely with the TSRA Fisheries team for just over a month prior to the event to refine and formalise the Summit. How to learn about Supplier opportunities with QGC - Queensland and Western Australia? This article is to advise you about a new process for suppliers interested in opportunities with QGC’s operations in either Western Australia or Queensland. The information below was provided by QGC Pty Ltd, a member of the Shell Group. This weeks blog focuses on Tagai Management Consultants attendance at the 2018 Supply Nation Connect Trade Show and Gala dinner event. Announcement of the Indigenous Business Sector Strategy on 12 February 2018. Tender writing steps to remember if you about to write your first tender proposal or if you are an experienced tenderer. Tagai Management Consultants founder and Managing Director, Murray Saylor nominated and has been appointed as a member of the 2018 Supply Nation Indigenous Business Advisory Group. Tagai Management Consultants (TMC) founder and Managing Director, Murray Saylor welcomed an opportunity to spend time with family and reconnect with culture during the Christmas holiday period in order to culturally re-energise and revisit our Company business strategy. Firstly, taking time out to revisit the roots of why I established TMC was timely considering the next business phase I am taking TMC into within Australia and in the global village. TMC was created based on experience, vision, Western education and my Torres Strait Islander cultural roots, and value systems. As a young business which has been operating for just under four years it was time to revisit from a cultural perspective TMC's business strategy and value systems, a cultural strategic planning process you may say. I used two significant family events to conduct my personal revitalization and the business review process - Sailor/Sela/Saylor family reunion, Cairns, and 60th birthday celebration for my au bala (big brother) Jackson Sailor that was held in Bamaga. Before I continue I would like to pay respects to my ancestors, elders, friends and families who inspire my entrepreneurial spirit to "maximise opportunities to make a difference." I will not go into detail about the intricacies of the whole celebration but I will share a little about the significance and my key takeaways from this important event. In short I am from a VERY big Torres Strait Islander family which is connected to various Torres Strait Islander and Aboriginal families but, whose roots originate from the Torres Strait Islands, Papua New Guinea, and Lifou Island (New Caleldonia). Yes, Lifou Island is part of the Loyalty Islands that various cruise ships frequent and some say is "paradise". I am the great, great grandson of Dosiah Sailor who was the third eldest child (12 first generation children) in our massive family. Yes, my surname is spelt differently but there are various stories on why that is the case, I will not take up your time today explaining. The Reunion was the second family gathering to occur and it was full of colour, laughter, dance, song and vibrancy that is always memorable. My odyssey to Bamaga from Brisbane involved 3 car rides, 2 flights, 3 stopovers and 1 4WD ride which was a adventurous start. My time in Bamaga was filled with laughs, sunburn, celebration, energy, adventures, meeting new friends, and catching up with family. In the lead up to the various celebrations I had the opportunity with my brothers and uncles to go hunting and fishing in the waters at the northern tip of Australia. In short, it was incredible and besides a great sunburn I managed to nab the catch of the day. Woohoo!! All the produce we caught was contributed to the family celebrations. I had the humbling opportunity to attend a nephews shaving ceremony and on the same day attend my au bala's 60th birthday celebration which provided an opportunity to meet relatives and new bala's and sissy's (brothers and sisters). I had discussions with various business owners, change makers, aspiring entrepreneurs who just want to contribute to the sustainability of their community, families and culture. I would like to take the opportunity to thank everyone I came in contact with in Bamaga for their "debi pasin" (respect). Supplier diversity is a key avenue in business innovation - socially and commercially. Once again I would like to thank all family, friends and community change makers I connected with during my family pilgrimage. I have brought back new ideas and strengthened focus to drive Tagai Management Consultants into the next phase of our journey in which we will continue to "maximise opportunities to make a difference" to our clients, and communities. If you are looking to work with a dynamic management consultancy who values empowering relationships, innovative solutions and achieving results contact Tagai Management Consultants today via our website www.tagaimc.com, email: murray@tagaimc.com or phone: +61 0400 280 856. All content shared in this article is all rights reserved to Tagai Management Consultants, 2018, and cannot be used for any other purpose.